We invite you for a round of golf during the 2018 LPRC Impact Conference! LPRC Impact Conference is here and we are warming up with a round of golf! Sponsored by Brosnan Risk Consultants and Johnson Controls for the 2018 LPRC Impact Conference. *In order to sign up for the Golf Tournament, you must also be registered for the LPRC Conference. 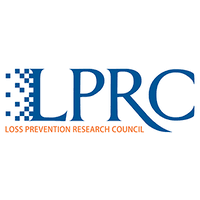 Click here to register for the LPRC Conference. Donate to the B.O.L.D. Program! The Brave Overt Leaders of Distinction (B.O.L.D.) Program was started in 2010 to provide assistance to young men previously between the ages of 16-24 who needed professional guidance in addressing their life situations and circumstances. The focus of B.O.L.D is to implement comprehensive "re-entry" and intervention activities that address the full range of challenges involved in helping young adult males make a successful transition into the community. .
All donations from the Golf Tournament will go towards the B.O.L.D. program and will be accepted day-of. For more information on the Bold program, see here.